In the most recent episode of Bad Voltage, I reviewed the Jarvis Bamboo Adjustable Height Standing Desk . Tune in to listen to the ensuing discussion and the rest of the show. Between LinuxQuestions, Datadog, consulting, Bad Voltage, Opensource.com, Linux Fund, and the other online activities I partake in, I’m in my office _a lot_. And while I try to be active when I’m not in my office, there’s substantial research coming out that indicates long period of sitting are bad for your body irrespective of how much exercise you otherwise get. Enter a standing desk. Before moving on to the review, I should note: While most studies agree that sitting for long periods of time is bad for you, there is still ongoing research on whether standing undoes that damage. That’s not to say a standing desk isn’t beneficial, but keep in mind there is not enough evidence yet from quality studies to prove exactly how beneficial. On to the desk. While a variety of adjustable standing desks are available, after considerable research I ended selecting the Jarvis Bamboo from Fully. The desk comes in seven sizes with either rectangle and contour tops. I went with the 60″x30″ contour combination. From there you you choose from an assortment of accessories including programmable memory adjustment, wire management , and CPU holders. Once you make your selection, the desk is sent out the next day via ground shipping and will arrive in two boxes. The first box I opened had nothing but the desktop. You immediately notice how high quality the harvested bamboo is. It’s sturdy but not too heavy and has a look I really like. The other box had the frame and all other components. Assembly was straight forward and took roughly thirty minutes, including attaching the optional CPU holder and my existing monitor arms. The wire management option is nice, but not custom built for the desk. I went with the programmable memory and as a $35 upgrade I’d consider it a must if you’re going go with an adjustable height desk. It has 4 programmable options, which make the perfect height for standing or sitting a single click every time. Once assembled I quickly put the desk to use. It’s reasonably quiet considering it supports lifting 350 pounds and it extremely stable at all heights I tested. I’ve found myself standing roughly 20-25% of the time and it’s been an improvement for not only my health, but for my workflow. At around $600 as I spec’d it out, it’s not cheap, but when you couple how often I’m at my desk with the fact that this desk should easily last over a decade it seems like a small price to pay. So, what’s the Bad Voltage verdict? If you’re looking for an adjustable height standing desk, I highly recommend the Jarvis Bamboo. I’ve been using it for over a month now and I would not want to go back to a traditional desk. If you’re committed to a standing routine, but you already own a standard-height desk you like, or the price of a fully adjustable desk is just too much, options such as the Ergo Desktop Kangaroo Pro Junior or Varidesk may be worth a look. Either way, I can also recommend the Topo mini mat, which I’ve found extremely comfortable. You may have noticed this review is a bit lighter on details than most of mine are. This was very much by design. There are a ton of high quality in-depth reviews available for the Jarvis, and other variable height options, so there isn’t a lot I can add. 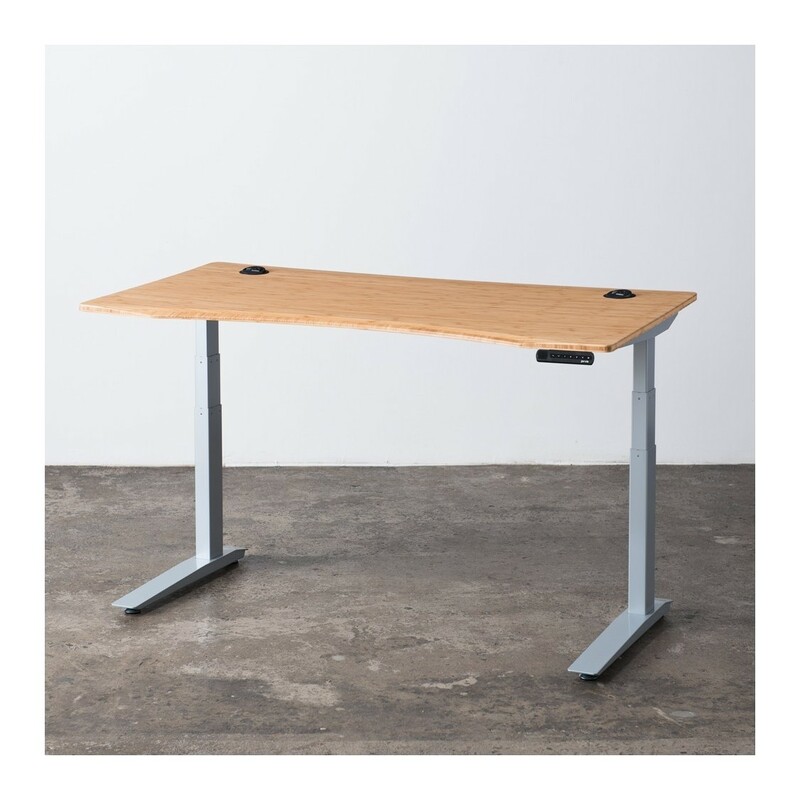 What I’d like to know is, what the rest of the Bad Voltage team thinks about the concept and work-flow of a standing desk, their opinion on buying a new fully adjustable desk vs using something like a Varidesk, and whether making either purchase is something they’d consider. 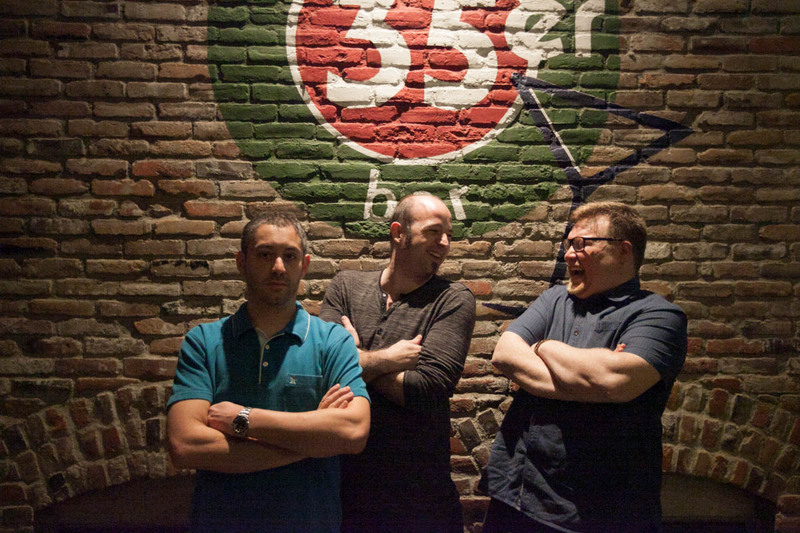 Earlier this month we recorded our fourth live show. I’d like to think it’s our best so far. We covered interesting topics, had some laughs, and although we still have a ton of areas we need to improve; we’re really starting to hit our stride. The show kicked off a discussion internally, and while I can’t offer any additional information now, let’s just say that if we can execute on our plans you should definitely stay tuned. If you have any comments or suggestions on how you think we can improve the show, we’re certainly interested in what you think. Back to the live show, I’d like extend a huge thanks to: Ticketmaster for providing the venue and entertainment/refreshments, Linode for getting us there, Dell and Endless for the prizes, and SCALE for once again allowing us to be the prime entertainment for Friday night. Also a huge round of applause for Chris on an ebullient intro, and Rikki and Hannah for agreeing to be in the game show… which in my opinion came out fantastic. Full disclosure on that – I was the quiz master. If you haven’t watched the live show yet, you still have a chance to win a Ubuntu Dell Sputnik laptop. The Bad Voltage live stage show, from SCaLE 15x in Pasadena, March 2017! [00:11:30] Cloudflare had a pretty serious security flaw identified by the Project Zero team at Google, where sensitive data from all sorts of Cloudflare sites was leaked — passwords, auth tokens, and the like. What’s the deal with this sort of issue? It’s surprising how much of the internet turned out to be behind Cloudflare, and this sort of centralisation is a problem… but equally, there’s a reason we go to experts in the field and outsource services to them! So, what’s the best approach here? In the most recent episode of Bad Voltage, I reviewed the PicoBrew Pico. Tune in to listen to the ensuing discussion and the rest of the show. Brewing beer is a complex and subtle mix of art and science. 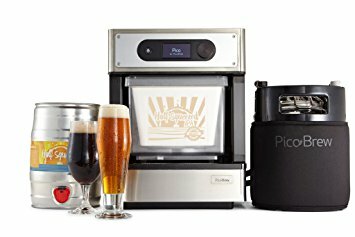 As a fan of both craft beer and technology, when I stumbled upon the Pico by PicoBrew I was intrigued. For those not familiar with the Pico, it’s a device that semi-automatically brews 5 liters of fresh craft beer at home in about 2 hours using grain and hop PicoPaks from dozens of breweries worldwide. From well known beers such as Dead Guy Ale from Rogue and Brew Free or Die from 21st Amendment, to niche beers from small local breweries scattered around the world that are unlikely to be available outside their direct locale, the selection is good and still growing rapidly. You’re also able to create your own beer from scratch via the Freestyle option that lets you choose a base style and then customize with around a dozen grain options, a half dozen hop varieties and the optional ability to dry hop. The Pico guides you through the first few brewing steps over the course of roughly two hours, however like with any home brew, you need to wait between a few days and up to a couple of weeks for your beer to ferment and carbonate. I’ve heard it described as the Keurig of beer, but I don’t think that’s an apt characterization. Making beer with the Pico is somewhere between traditional home brewing and and a K-Cup type experience, which InBev claims to be working on incidentally. With that in mind, on to the actual device. The Pico is a fairly large device, measuring 16″ x 12″ x 14″ and weighing in at 24 pounds. That may make it a difficult to accommodate for some. As the initial shipment comes with a PicoPak, a brewing keg, a dispensing keg, and quite a few accessories the delivery box is massive. Once you unpack everything initial setup is a breeze. Simply plug in the device, connect it to your wifi, and then associate it with your Pico account. The only thing left is the initial rinse, which is automated, and cleaning/sanitizing all the accessories and kegs. As with traditional home brewing, you better get used to cleaning and sanitizing as there is a lot of it involved. If you were expecting to hit a button, get beer, and be done let me allay you of that idea right now. With everything gleaming and sanitary you’re ready for your first brew. The first part of the brewing process involves inserting the PicoPak into the main step filter. Each PicoPak is automatically recognized by the device and comes with a Hops Pak and a Grain Pak. From there you connect the brewing keg, which uses standard ball lock connectors, add some distilled water and start the process. For most recipes you can adjust the ABV (alcohol content) and IBU (bitterness), but nothing else. While the on-screen directions are usually clear, I recommend keeping the manual handy for the first couple batches. Roughly two very noisy hours later you have the smell of fresh bread in the air and brewed wort in your keg. 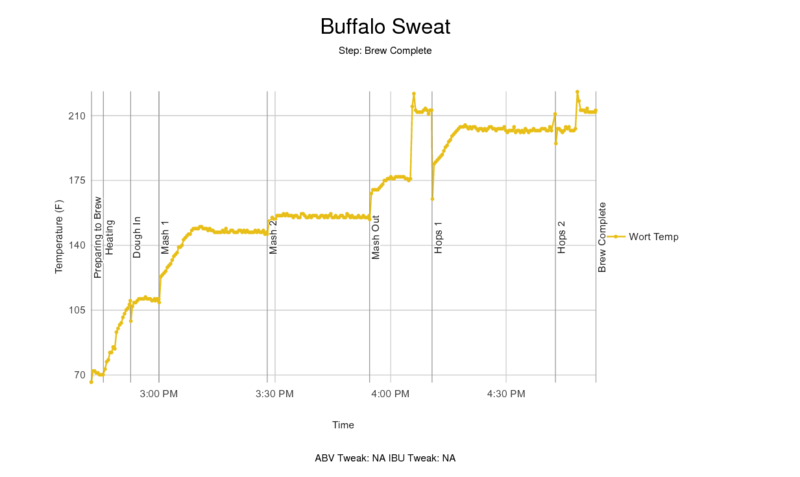 You can track the progress of your brew, in real-time, online. Follow the cleaning and sanitizing instructions on the device and let the wort cool to the correct brewing temperature, which is noted on the Pak. From there you pitch your yeast, watch the airlock bubble for between a few days and a couple weeks, then rack the beer into either the serving keg or your kegerator system. While they offer a method to “fast ferment” your wort, I recommend sticking with the standard fermentation process. You can carbonate the beer with the priming sugar that comes with the PicoPak or force carbonate using the included adapter. You now have fresh homemade beer. How is that beer? I’ve brewed a few different styles from multiple breweries and the results have been mixed. My initial brew was a Buffalo Sweat Stout and it came out really good. In fact, some people that tried it didn’t believe I brewed it at home. On the other end of the spectrum, the Dead Guy Ale tasted off to the point of being almost undrinkable. As I brew more recipes from additional breweries I am curious to see which experience becomes the norm. Unfortunately I haven’t had a chance to try the Freestyle option yet, but I plan to very soon and will update with results when I do. Note that new Pico devices also ship with a sous vide adapter. My Pico did not, but the company has stated they plan to ship the adapter to everyone eventually. Looking at the instructions, however, it’s much more complicated than a traditional sous vide. It’s pretty clear the company was committed to including the functionality because it was promised in their kickstarter, and they should be commended for this. It may be a decent way to test whether you like cooking sous vide, but if you’re serious about it I suspect you’ll want a proper setup sooner than later. I still use the Anova I reviewed in an previous episode and recommend it. So, what’s the Bad Voltage verdict? At $799 the device is a fair bit more expensive than a traditional home brew setup. While it automates much of the process, there is still quite a bit of manual cleaning, sanitizing, and other work that must be done and the “beer in two hour” pitch is a little disingenuous. PicoPaks run between $19-$29, which translates to around $10-15 per growler of beer. It will be interesting to see how many breweries come on board and how consistent the end result is. So far the company has been very receptive to feedback and seem genuinely interested in listening to customers and improving the product, so I’m encouraged. PicoBrew deserves credit for making the brewing process simpler and removing some variables without making it much less authentic. I suspect if you really enjoy craft beer and live somewhere a good variety of it is difficult to procure, the device could be a compelling purchase. I also suspect many will consider it far too expensive, too complicated, and too inconsistent to justify the cost or effort involved. Note the company also makes a device called the Zymatic which is a true all-grain brewing appliance that is almost akin to a miniaturized commercial brewery. At $2,000 it’s a major investment but it also comes with the ability to sell PicoPaks in the BrewMarkepace, so may be an option for those looking to break into commercial brewing. 1. We’re not going anywhere. We have a quite solid business plan and a quite large purse to keep us going for many years to come. [00:56:35] Is there actually a space for a successful “third player” in mobile phones? Microsoft, Ubuntu, Sailfish, Palm, RIM, all have foundered in pursuit of this market. And if there’s no space for it in phones, who will shift the market to some new _type_ of product, and what will that product be? Also, Bad Voltage are returning to SCALE in Pasadena in March for a live show! With free food and an open bar, and the 80s nerd rocker band the Spazmatics, the show’s gonna be great. Buy your SCaLE tickets now!